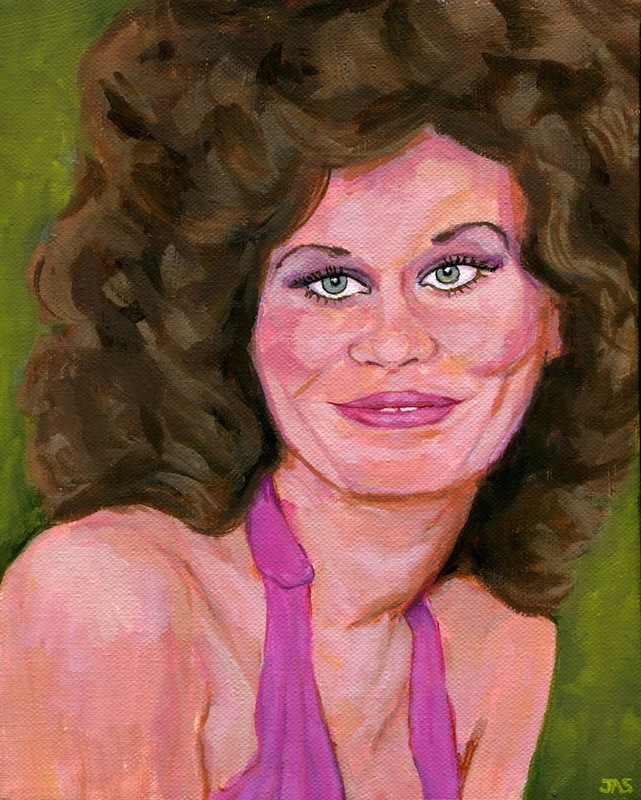 The unforgettable Karen Black, fearless, daring, beautiful, and talented. She had a long and varied career in many films including Easy Rider, Five Easy Pieces, Trilogy of Terror, Burnt Offerings, Invaders from Mars, Out of the Dark, and Rubin and Ed. Original painting and prints are available in the shop. Rojo the Llama and Napoleon the Alpaca, therapy friends to all! These sweet buddies are doing the good work of cheering up everyone they come in contact with. Our drag clown and Queer Horror’s horror hostess, Carla Rossi, as the titular character from our screening of The Stepford Wives (1975). 8” x 10” prints available in the shop. My favorite mouth bleeder, Megan McFarland, as the “not here for men’s bs” character, Grace Scott, in 1987’s From a Whisper to a Scream. Exact replica of how my heart sees all Alpacas. Also lots of squee sounds and a small voice saying chibi chibi on repeat.